Lilia Garcia, adjunct history lecturer at the University of Texas Rio Grande Valley, has been appointed by Gov. 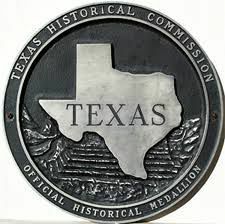 Greg Abbott to the Texas Historical Commission. The Raymondville native holds a Bachelor of Arts in political science and Ibero-American studies, in addition to a Master of Arts in history from Southern Methodist University. Garcia formerly worked for St. Joseph’s Academy in Brownsville and currently serves as a member of the Museum of South Texas, the Brownsville Historical Association and Museum of Fine Arts in Houston. Her term will expire on Feb. 1, 2021, as will fellow appointee David Gravelle of Dallas. The commission directs services to support projects commissioned by county agencies and institutions. Jim Bruseth of Austin and Renee Dutia of Dallas were also appointed by the governor, with their terms expiring in 2019. Terms for fellow THC appointees Garrett Donnelly and Laurie Limbacher will expire in 2023.